Experience RV camping at its finest with a Williamsburg RV camping trip. Just minutes from the popular Colonial Williamsburg, historic Jamestown and Yorktown, outlet shopping and Busch Gardens, Williamsburg RV & Camping Resort is your headquarters for family fun. Additionally, camping at Williamsburg RV & Camping Resort positions you in the heart of Virginia’s historical center while enjoying the comforts of Williamsburg’s finest RV camping resort. After having fun visiting local attractions, our indoor and outdoor pools are the perfect places to relax and unwind. Nearby championship golf courses host another popular Williamsburg activity. But let's not forget what camping is all about -- just spending time reconnecting with family and friends. 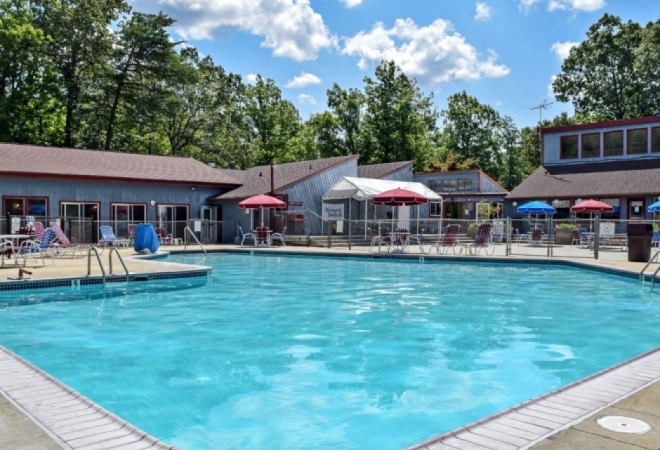 Our host of services and amenities make this campground a true gem. Daily, monthly and annual sites are available at this Outdoor World RV campground in Virginia, as well as fully equipped park model rentals ready to accommodate you for your next Williamsburg vacation.